Most companies watch known competitors to look for new models, features and integrations. That makes sense...if you believe that the future is a linear extension of the past. In other words, if the competitor that might be your biggest future challenge is one of those that vexes you today; and if the innovative solution that tomorrow's customers will embrace is an adaptation of one you use today. Except that's not how most companies rise to their prominence, much less preeminence, in an industry. More often there's a substantial change - for instance an entirely new category of equipment, or a radically different business model (like PaaS) that interrupts the linear evolution and catches industry stalwarts unawares. Manufacturing companies are inherently linear. Products get visualized, prototyped, then manufactured. Materials come in one end of the factory and finished goods leave from the other. Process gets dissected step-by-step in pursuit of improvement. That's valuable where it provides structure for consistent improvement and quality, but it's a liability when it interferes with adaptation. And a startling number of companies which are meticulous about monitoring metrics in manufacturing are quite cavalier about analogous opportunities on the front-end of the business. For instance hesitating to implement CRM or marketing automation because "we've never used that and our people would be uncomfortable with the change." 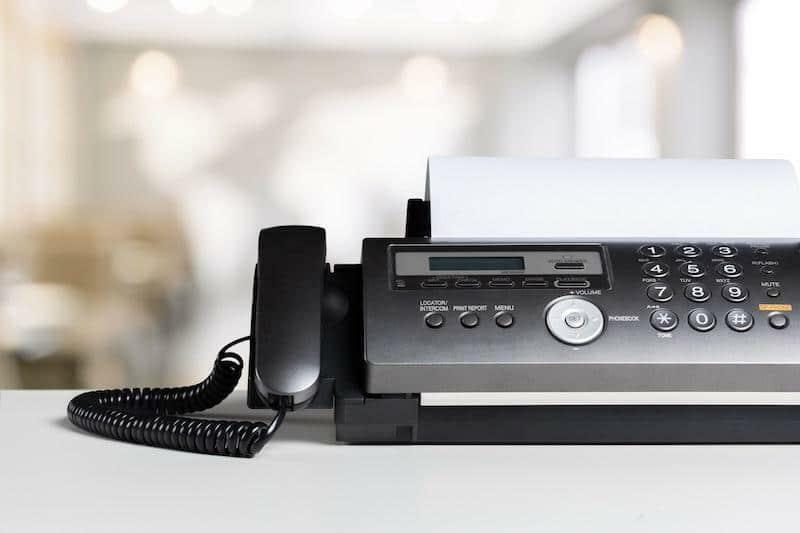 You still use a fax? An example about which we can probably all chuckle is the lingering presence of fax numbers on business cards and websites. At least most of the machines were upgraded from rolls of coded paper to plain paper sheet fed mechanisms some years ago. But the persistence as a communications mode defies both practicality and efficiency. Except...it's not really funny. It illustrates the problem with linear adaptation. Today letters & proposals should be delivered with technology that provides tracking metrics around opens, reads, shares and even online secure execution of agreements with integrated payment options. That's at least an email step removed and possible further. Yet the fax machine "mentality" anchors companies' expectation. That is inconvenient for prospects and customers in the near term, and it confounds buyer expectations in the longer term. The trend toward conversational marketing is a great example. Most people in the B2B sales space are aware of having seen live chat. Some have engaged. Often the exposure is only in their role as consumers because few B2B industrial companies have yet implemented the technology. Particularly fascinating (and perhaps telling) is the evolution I've seen a couple times as B2B complex sales companies have tried it. It works. In fact it works so well that buyers (you know the ones whom you're not sure how much they really use your website) engage: consistently and vigorously. And the engagement reflects the entire buyer experience - awareness, consideration and decision stage prospects, existing customers and tech support. Think about this for a second. If your switchboard was flooded with calls would you unplug the phone line? Of course not. You'd figure out how to answer, route and satisfy the callers. Why are these conversations any different? Clearly they're not for the customers....they're only different for the seller. And the difference is in the anchoring effect and expectation of linear adaptation. Is a website owned by IT? By marketing? Although the latter is vastly preferable to the former, the mindset that it's solely resident with one function or phase in the customer experience is faulty. It leads to the expectation that live chat is a marketing function, to be staffed and supported by small staffs focused on graphic design, trade show planning and content creation. Your prospects, buyers and customers DON'T CARE about your organizational silos. They want to speak to someone who can answer their questions and provide insights. You've almost certainly packed your website with all your specs and data sheets...so anyone who's contacting you wants more than simple info. They expect expertise. And without exception, every sales team with whom I speak laments the difficulty they have connecting with prospects and customers for meaningful conversations. And yet....live chat is ignored. It's time to change that, and industrial companies have an opportunity to be early adopters - pioneers almost. Live chat has become an effective tool for conversational marketing and is quickly branching into conversational sales and conversational service. The technology is easily implemented - not only to put the tools on a website, including natural mobile optimization - but also to naturally route and transfer inquiries, to set on/off duty or availability, to respond appropriately by page content and more. In fact the conversion forms which have become increasingly common in recent years are gradually giving way to chat, often with quick multiple choice questions for lead qualification and customer routing. Affordable and intelligent bots are readily available. I'll grant that the marketing team that canned chat because it was too successful did spend a lot of time answering the same questions repeatedly. Easily programmed and conversational bots are easily implemented and help visitors quickly get the answers to the typical 20% of queries which constitute 80% of the interactions. Seamless transfer from bot to human is easy - so visitors aren't frustrated with experiences like the auto phone attendants which are the stuff of comedy shows. And the technology is reasonably priced. Behind decisions like this lies a fundamental mindset question. Is your company naturally inclined to establish your framework and then try to guide customers accordingly...or do you solve for customer/buyer/prospect expectations and build your experience around them? That's likely emerging as the single most important predictor of competitive success. Is conversational marketing or sales the acid test for that? No. But it's a representative example and could be indicative of mindset. If you're interested in learning about how conversational sales, service or marketing could enhance your buyers' experience and improve your results....well, then you know what's coming. Let's chat!